Artwork by Brianvdp. 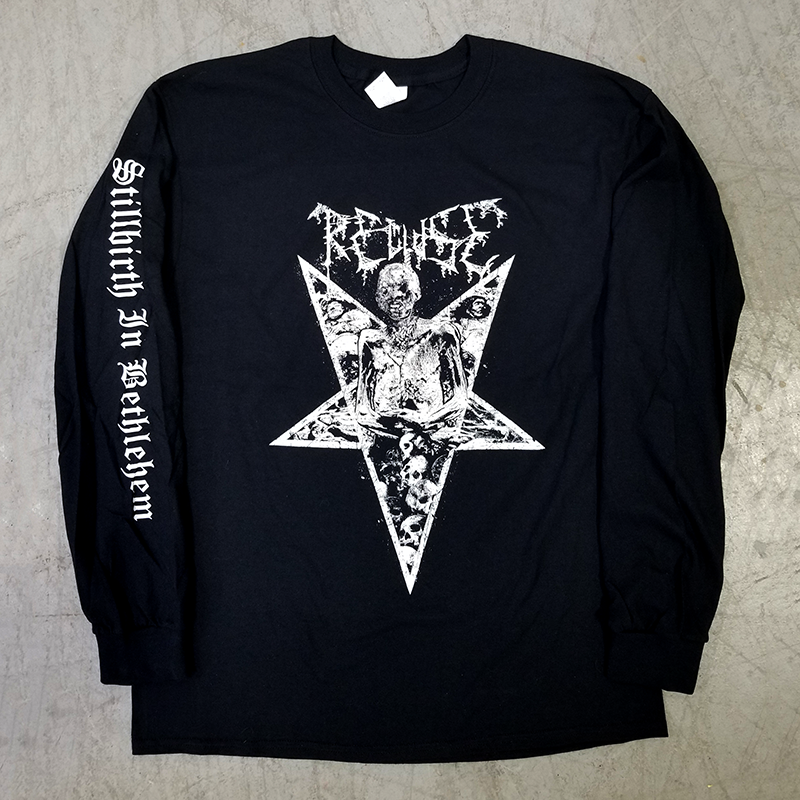 Printed with white discharge ink on Gildan Heavy Cotton, 100% cotton preshrunk long sleeves. Printed by Vault of Dried Bones. 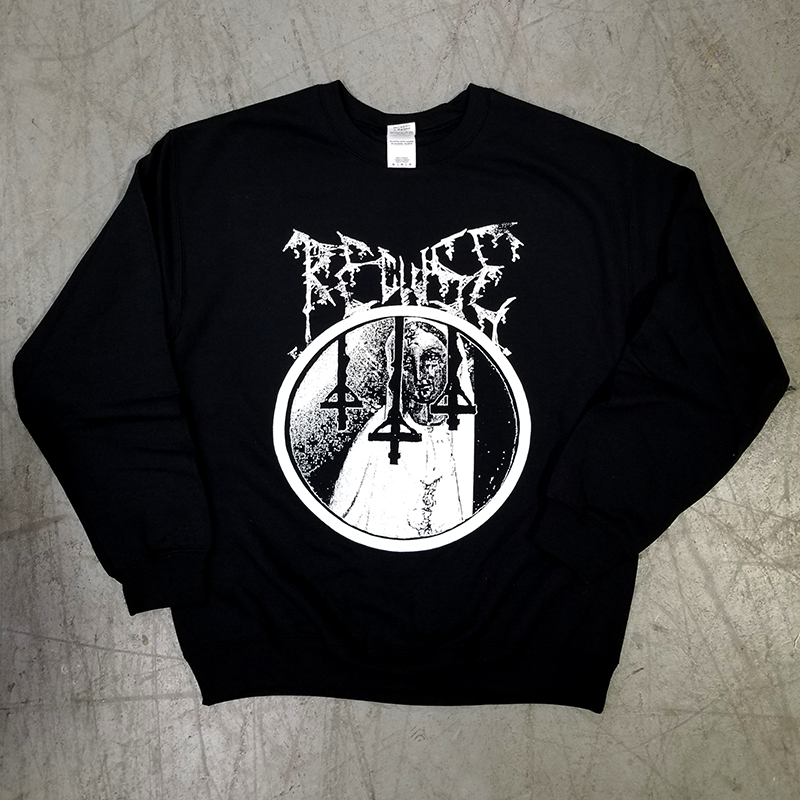 Printed with white plastisol ink on 14 ounce Gildan heavy blend, 50% cotton / 50% polyester preshrunk fleece crewneck sweatshirt. Printed by Vault of Dried Bones. 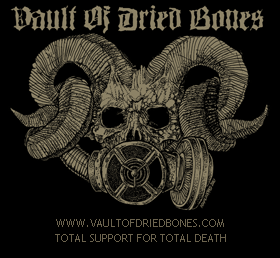 Copyright © 2010-2019CE Vault Of Dried Bones /// Label & Merchandise, Distribution and Promotions. All Rights Reserved. Website by Vault Of Dried Bones. Logo by Adam Kindred. Total Support for Total Death.